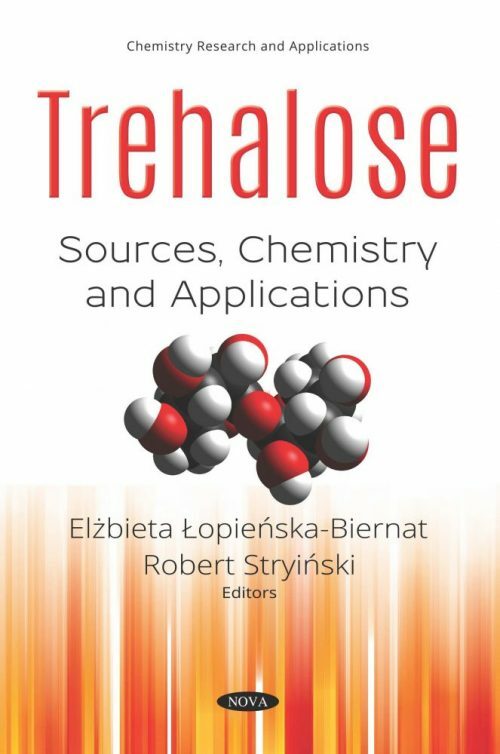 Trehalose as a natural disaccharide presents in plants, invertebrates, fungi and prokaryotes, but not in mammals. A white, odorless, crystalline powder with a sweet taste, it is best known as a source of energy and protectant to survive harsh environmental conditions in many organisms, but its applications cover a wide array of disciplines. Research engagement is stimulated by interest in biotechnology; the use of trehalose in processes related to industry, agriculture, pharmacy and medicine. Considering both the advantages and disadvantages of this sugar for humans, Trehalose: Sources, Chemistry and Applications emphasizes the importance of trehalose in both basic and applied research and presents an overview of its biological significance. 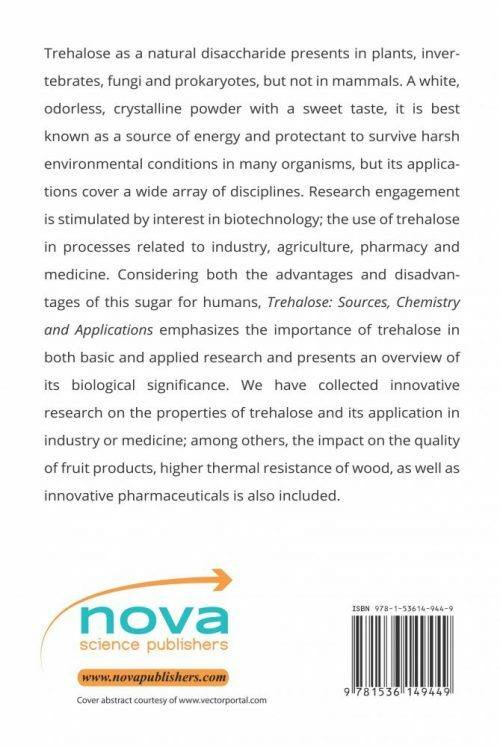 We have collected innovative research on the properties of trehalose and its application in industry or medicine; among others, the impact on the quality of fruit products, higher thermal resistance of wood, as well as innovative pharmaceuticals is also included.